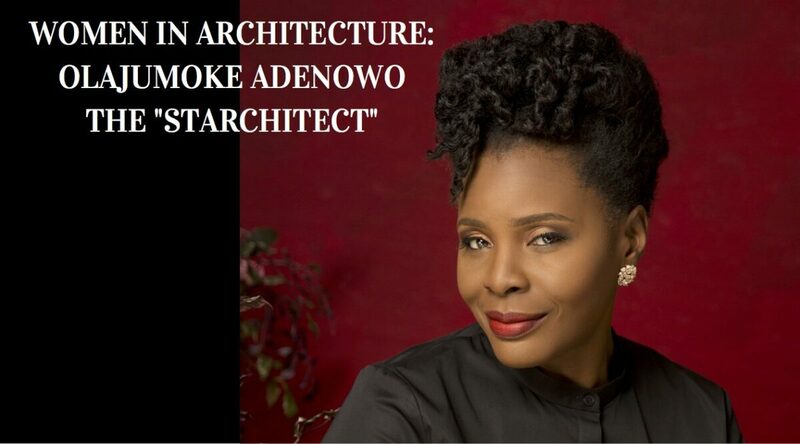 "Empowered women can empower other women"
In this our first interview of a series in which we will feature African women trailblazing in mostly male-dominated fields, we speak to architect Olajumoke Adenowo, one of Africa’s’ leading women in architecture . Truly her success as an architect prove why this field like any other, are not a man’s world. Women can and in this broad interview with Belinda Otas, her message is clear: empowered women can empower other women. NAW: How would you describe the architecture and design landscape in Nigeria and across Africa, and why are you passionate about making on impact on the architectural landscape? Olajumoke: I can only speak authoritatively about Nigeria though I travel quite widely in Africa. Our continent is extremely rich and diverse and its architectural landscape spans the pyramids of Egypt which are millennia old, vernacular architecture of every culture, colonial architecture and post colonial architecture in states like Nigeria and Ghana are decades old, and we have new states just turning their concern to infrastructure and construction. To therefore attempt to comment on such a broad spectrum of architectural work in this interview would be too simplistic. Architecture sadly lags behind every other creative expression in Nigeria. Nigerian music is an intangible art with a deep cultural following dating from antiquity. It has evolved into an export, which globally expresses the Nigerian identity. Nigerian literature is celebrated internationally and our newest export Nollywood, is not without its own value – contributing to the GDP at the last rebasing of the economy to the tune of $5bn per annum. When architecture in Nigeria evolves beyond the developer/client mentality where only the “bottom line” (maximising lettable space) counts, true patrons will emerge like Eusebi Güell was to Antonio Gaudi in Barcelona or how visionary governments are to their architects. We see a lot of western influences in architecture across the continent; how can African architecture and design reclaim its glory with the continent’s culture, traditional and way of life coming through in local designs? There really is no body of work that can be defined as “African Architecture” the way we can refer to Art Deco or Modern Architecture or any movement or style. Architecture across Africa is as diverse as the climates, socio-cultural, political, economic, and historical and other factors that shape the continent. That said I believe that the continent of Africa has not yet made a significant contribution to the discourse of global Architecture. An entire continent cannot be missing in a field as important as architecture. I believe African architects should look to our rich architectural heritage to evolve architecture that is unique to our socio-cultural setting and what the “zeitgeist” or the spirit of the age in our own cultural paradigm (which varies across the continent) is. Architecture is about identity; so African architecture should reflect the socio-cultural persona and history of the continent. From my initial research it’s obvious that each culture within the intricate and rich pan-African heritage has a lot to instruct the future especially about sustainability. As African architects we should begin to evolve what works for our continent in every locale on the huge and diverse continent. Architecture that is not a copy of Texas or Dubai but one that responds to our own realities – socio-economics, diverse climates, political economies, cultural settings, available technology and aspirations for the future. Merely copying designs blindly springs from a well of insecurity. If you are confident that you are properly clothed you don’t have to borrow the garments of another. Sometimes, I feel we fly in architects who don’t understand our paradigm, not even our diverse climates. It is like someone coming in wearing a mink coat on a hot African beach on a hot summer. In Nigeria, our lawyers and judges still wear black robes and wigs in hot Nigerian courthouses. So the root of the matter goes deeper than our architecture. You have been described by CNN as Nigeria’s “Star architect,” is there a building or a project, which you would describe as the most important one in your career so far? Although I have designed and executed over 70 buildings, I would like to, in the near future, design an iconic building that becomes the symbol of Nigeria, the same way the Eiffel Tower is the symbol of Paris/France. I also want to be the vanguard that champions architecture on the African continent, led by African architects, as well as bring global attention that will afford Africa the platform to contribute value to the field of architecture internationally. Honestly, 16 percent of the world or 1.2 billion people can’t be voiceless on an important discourse like architecture neither can they allow others to define them. As African architects, we must step up and define our own identity, and what our architecture stands for. Just as African music, art and literature have become part of the global body of work in those fields and are understood and evaluated not from a Eurasian or Western paradigm, architecture from the African continent by architects of the continent (whose souls are with the continent) must be understood and celebrated from an understanding of its own paradigms. What has been the most important turning point in your career? Without doubt the decision to start my own practice. You have been very successful with your business in an industry that is very male-dominated. What mindset should women adopt when mapping out their plan to succeed in any business? This is how I actually get all my architectural briefs – even from the roll out of a bank in patriarchal Northern Nigeria almost two decades ago. It is essential that women also recognise that integrity matters in business because you are being watched. I have heard feedback from local and international circles that I conduct business with integrity. My refusal to bribe and receive bribes means we are effectively cut off from a whole sector of the market and harassed terribly by some corrupt government officials for refusing to “settle.” I have had to resign from projects because I refuse to compromise. Distinction matters – differentiate yourself from the crowd by being creative. AD Consulting core values are: Excellence, Passion, Integrity and Creativity. Our values are EPIC. One of the biggest hurdles women often come against in business is access to finance among other challenges. I wonder how women can begin to create collaboration platforms in business in order to get ahead? Volumes have been spoken about women’s access to finance but I would like to focus on the process that precedes a woman attempting to access finance. With our work at Awesome Treasures, we have come to realise that the reason fewer women get financing is because only a few apply. Fewer apply because many are in the informal sector of the economy and we therefore develop their capacity first and coach them to develop their business processes. We ran a program called Cutting Edge, which taught women and youth about business and investments. We still have monthly or quarterly group meetings depending on the city called Synergy, where budding business women are coached and mentored by other Awesome Treasure members who are in the business and financial services sector. We also have a Resource Centre where regular seminars and training programs are held. Equally, women need women in business. No one understands a woman like another woman does. What separates us – class, wealth, and ethnicity are not as strong as the things that unite us. Also women (perhaps only) in my own environment are territorial. We need to proceed carefully with this in mind and give them whatever due they expect. The most supportive African women I have met so far have always emerged from a shared struggle – usually war, a liberation struggle for self determination which strips away the fluff and lays bare to them what really matters – The fact that in the end when all the external trappings are gone – we are sisters not rivals? Must we suffer a collective loss, face a common enemy that strips us of all external paraphernalia – houses, cars, jewellery, designer clothing and accessories and leaves us left with nothing but the least common denominator – our gender before we learn? You have a husband and two kids. Can African women have it all? Women in Nigeria and globally can have it all, if “All” means a career and a family. It actually rankles when I hear people ask if women “Can have it all?” why aren’t men asked if they can “have it all?” The paradigm itself is one of sheer gender disparity. Realistically, there are definitely challenges to women “having it all.” I know women are relationship centered, it’s just the way we are but I tell women “If you must marry, marry right” because the man you marry can make or break you. Marry someone who believes in you and is confident and secured enough to cope, not just with the woman you are when he meets you but with the woman you will become in future. Marry a man who can get onboard the train when he realises the size of your dreams. And get the support you need with raising your family. In Yoruba land, we have a saying – “ one person births a child but 200 hands must raise it.” Also, we must be realistic about the fact that a woman’s season may differ from that of a man. For instance Hilary Clinton couldn’t run for President when she was raising a child but having Chelsea has not denied her of her dream, she is now running for president and has her daughter, who by the way is supporting her all the way and working with her – the timing needs to be right. We as women may need to take maternity leave and slow down for a few months, however I believe a mother can work. I did but I was already an entrepreneur and my time was flexible. Be innovative, be flexible, think out of the box but don’t give up on either – your vision or your family because you were born for a purpose and as a solution to your generation and that solution lies in your vision. Your vision is key and I believe the awesome responsibility of nurturing a destiny is worth the sacrifice any mother can make. Gender parity remains a burning issue. Why is it important that we create a more equitable world for the next generation of African women? Gender parity is now a global necessity – trying to confront all the challenges that confront the world right now – climate change and sustainability issues, mutated viruses, ending hunger without women contributing their quota on an equal footing with men is like attempting to fight with one arm tied behind your back. In virtually every area – trade and industry, leadership and governance – women contribute at least 50 percent of the consumer base or the followership depending on the sector. 50 percent stake holding definitely qualifies them to have a voice and an equal part to play in issues that directly impact their lives. Within the political sphere, women are still missing significantly in leadership. A good example is the last Nigerian elections, which had one female presidential aspirant but people barely heard about her. Why is it taking longer for women to get to that place of equitable partnership on the political landscape in Nigeria and across Africa? Until campaign finance is reformed in Nigeria and quotas for female representation in elective positions are actually imposed upon the parties there won’t be any change.While no one needs to declare where the source of funding is from, illegal wealth will continue to be the driver of politics in Nigeria. If constitutional quotas are not imposed there will be no impetus to look for credible female candidates for posts and re-engineer the process in such a way that women can actually participate.Yes in the beginning token party stooges may occupy the slots for women but when the populace increasingly begins to demand better leadership through the means available to them soon the exigencies of supply and demand even in governance will kick in and politicians in their own enlightened self-interest will source capable female candidates to occupy positions. Rwanda remains a source of inspiration for female representation in governance but with this development coming after the horrific genocide could it be that the nation learnt the hard way that the absence of women in key decision making positions can cost a nation? Is Namibia wisely learning from the mistakes of others with 47 percent of the parliament being women? Shouldn’t the other nations learn too? African countries need to build a strong system first and women should be part of that process from the local government, which ideally should directly touch the ordinary citizen’s lives all the way up to the federal level. Rwanda remains a source of inspiration for female representation in governance but with this development coming after the horrific genocide could it be that the nation learnt the hard way that the absence of women in key decision making positions can cost a nation? Awesome Treasures Foundation is a platform with the sole aim of empowering women, nurturing young talents and raising tomorrow’s leaders. What triggered this kind of engagement with a social consciousness at the heart of it? I started Awesome Treasures Foundation in 1999 to raise transformational leaders, empower young talents and women. Sincerely, it has been an awesome journey. I have seen my young mentees become leaders and award winners in their field. I have seen one of them, who was an illiterate street hawker rise up from the dust and start an interior furnishing company. Now her first daughter has graduated from university, the second and third are in university and her fourth child will start this year. When her husband said he couldn’t afford to send the first daughter to university and she should learn a trade instead, this lady insisted she would pay for her daughter’s education and she did. She is also helping other people who are studying at university. When I met this lovely lady she had no bank account. Now her next generation instead of being illiterates, are university graduates. She said in an interview “When I listen to Mama (that’s what she calls me) the sleeping lion in me awoke.” And that’s what my mission is – To awake the slumbering lions. The vision for Awesome Treasure was a simple one – After years of listening to virtually everyone I know complain about the Nigerian government and how things just were so awry. I decided “It is better to light a candle than curse the darkness.” I remember how hopeless I felt as a youth in the Babangida days, I had to do something about the young people who were in the same position I found myself as a young woman. Someone had to let them know there is hope and their dreams can become reality. I also couldn’t imagine the youth growing into the leaders we had. Women weren’t seeing themselves as leaders for the most part and a lot of them had been programmed regardless of how highly educated they were that the goal was marriage and child bearing. I knew everyone had the seed of greatness in them, if they had someone to mentor them and believe in their potential. I decided to try and be that person who nurtures the seed of greatness in others. Everyone kept saying ‘somebody should do something about this or that,’ I decided I was that “somebody” and I could at least attempt to do something even if it failed. Why is it important that as an empowered woman, you empower other women? Empowering women is not merely a moral or ethical goal anymore it’s a fundamental necessity for human survival. I’m not where I want to be but I’m no longer where I was. I guess you can refer to me as being on the journey of empowerment. Who is the New African Woman? The New African Woman is the increasingly empowered African Woman who understands that as she is rising that she is being empowered to empower others. She understands that her empowerment – her platform, wealth and influence has a purpose – it’s for impact. The New African Woman brings up her sons to respect women and treat them as equals and still honour their difference. I refuse to identify the New African Woman with the stereotypes of the past or present, these are a part of the realities for now (though not the whole narrative) but that can’t be the NEW African Woman we strive to see. There are thousands of educated, empowered , capable African Women that the majority of the mainstream media doesn’t find it convenient to celebrate . What gives you hope and gets you excited about today’s African woman? Without doubt the inaugural New African Woman Forum. I have been to and spoken at many conferences but the forum stands out. At other forums in the past, I had heard a lot of talk and read endless communiqués but seen no action or tangible change afterwards but this forum is different. It made me know there are solid African Women and “He for Shes” out there. I think it’s the quality of people who attended, I met simply outstanding women (and men.) A group of really passionate and confident women (and men) willing to sacrifice for the cause of women in Africa. All the pettiness and surface issues that divide women were irrelevant, we were sure of our cause. We networked, brainstormed and are keeping in touch already. What is that one thing African women today must bear in mind as they plan and prepare for tomorrow in order to own and secure their future? There’s so much to say but for this interview I would simply say this – No one will simply hand over their platform or seat to a woman because she is a woman. Not even a woman would do that. We must bring tangible value to the table. 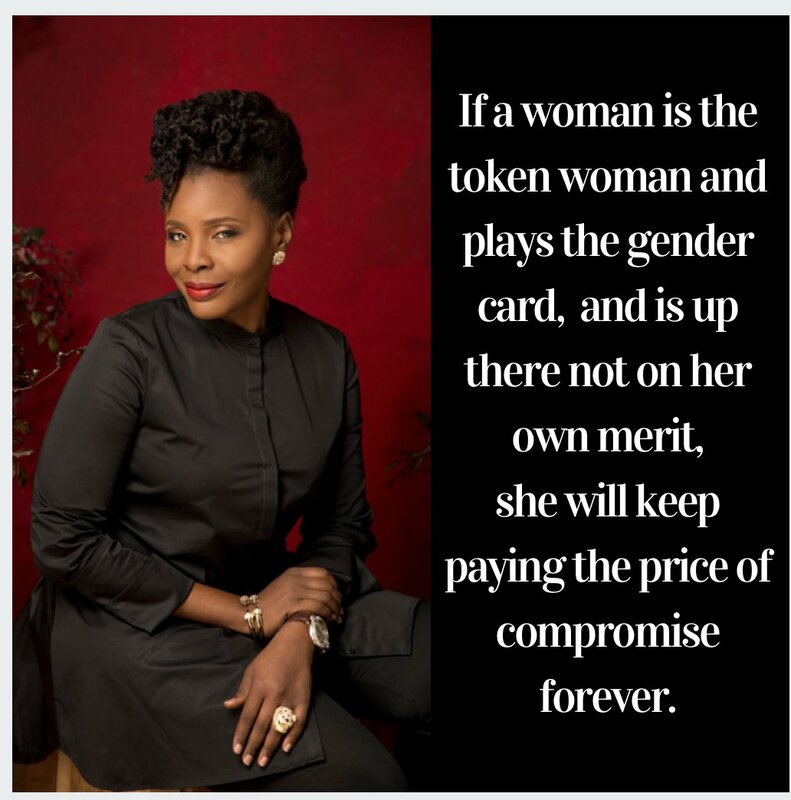 If a woman is the token woman and plays the gender card to get in “there” and does not get in on her own merit she will keep paying the price of compromise forever. We must earn, and not simply demand respect and then we must be bold to seize the opportunity when it comes. Remember when you finally “arrive” that your tenure can’t be secure if you don’t have a support base so don’t climb the ladder and then roll it up so that no one else can rise after you. No matter what you think – you are not self-made. Someone held the door open for you – do the same for someone. Let’s train our sons and daughters to deliver the future we want to see. We are battling these present realities in part because of the past we inherited and need to undo. We women are generational and from the very cradle we have the power to change the realities of the next generation, we all can do it. Olajumoke was admitted to the University of Ife to study Architecture at the age 14, she graduated at 19 with a BSc. (Hons) and subsequently with a record breaking distinction in Masters of Science (MSc) in Architecture (a first in the several decades of the history of the Institution). 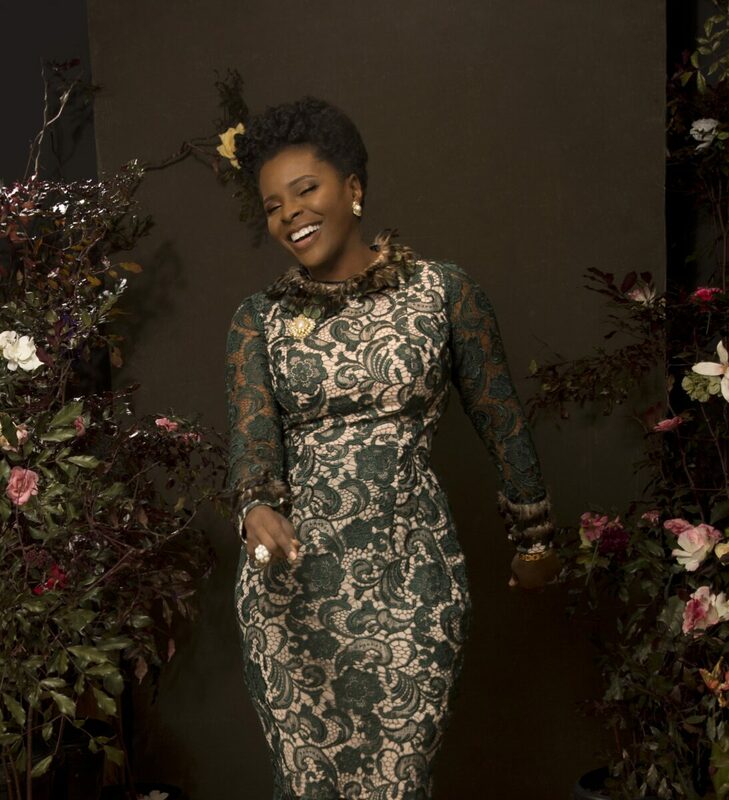 In 1991, she was included in the “Who will be who in the 21st century” (young achievers section) by the International Biographical Centre Cambridge, England. As a chartered architect, she worked with leading Nigerian firms and at Femi Majekodunmi Associates where she had the privilege of designing the Federal Ministry of Finance, Abuja. 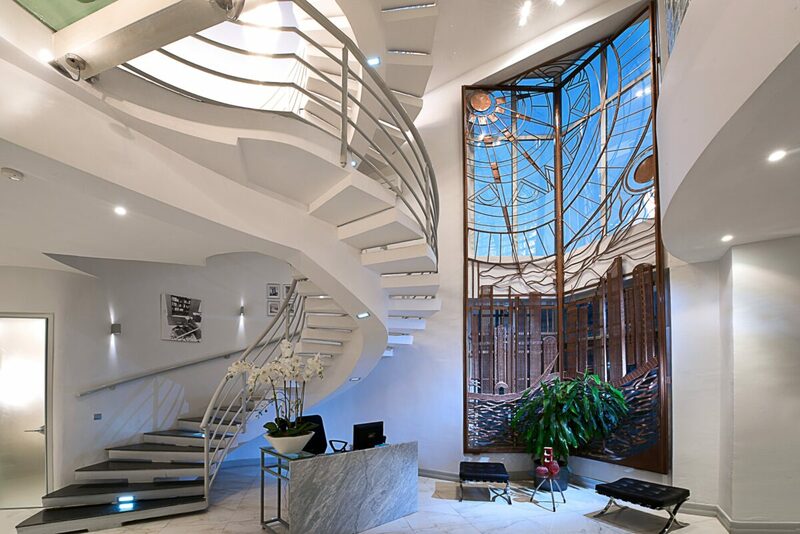 She later started her own multiple award winning Architecture and Interior Architecture firm, AD Consulting with just 400USD in 1994 and has held the position of Principal Partner todate. The firm has gone from its small cubicle in central Lagos to 3 offices and is now recognised as the flagship boutique that pioneers Interior Architecture in Nigeria providing bespoke interior design and architectural services to a discerning clientele, and has executed the design and overseen the construction of over 70 outstanding projects for a wide-range of clients from the Nigerian federal and state governments as well as multinational corporate organisations such as Coca Cola International and GTBank. 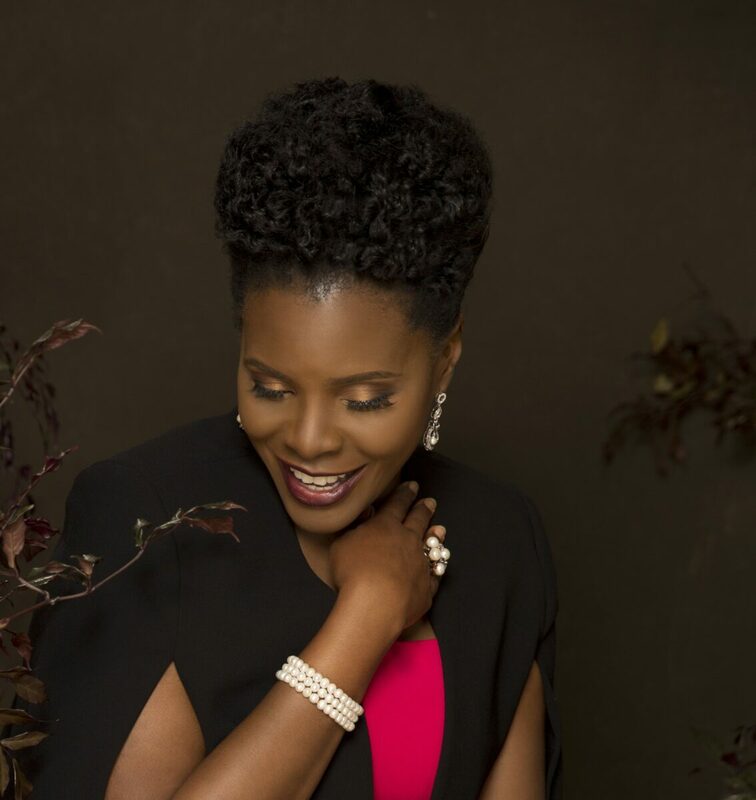 In 1999, she founded Awesome Treasures Foundation, which is aimed at raising transformational leaders. She is a motivational speaker as well as a host of her own syndicated radio program Voice of Change on Leadership.But that’s not all! She is also an author of several books including the much lauded Lifespring the Mothers’ Prayer Manual and her most recent work Designed for Marriage. 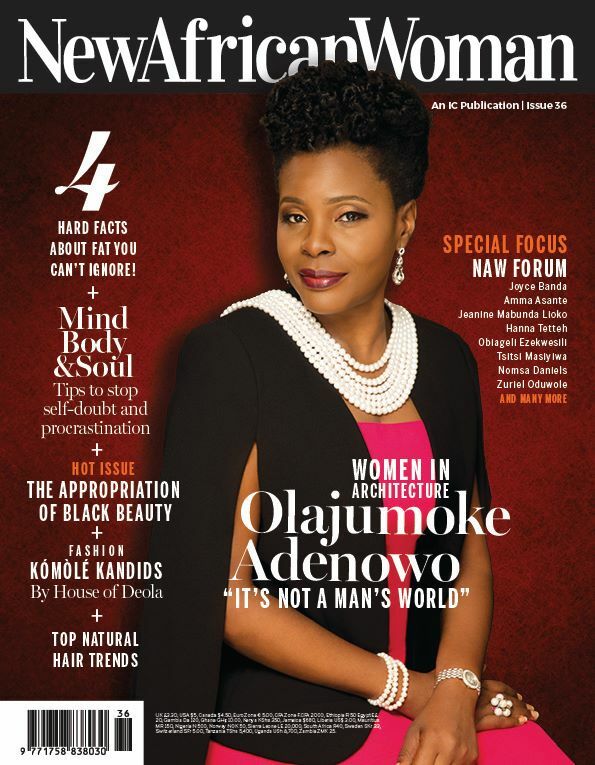 To crown it all – Olajumoke is happily married to Olukorede and they are blessed with two sons. Architecture across Africa is as diverse as the climates, socio-cultural, political, economic, and historical and other factors that shape the continent. That said I believe that the continent of Africa has not yet made a significant contribution to the discourse of global Architecture. An entire continent cannot be missing in a field as important as architecture. Belinda Otas is the NAW's Deputy Editor. A versatile journalist, writer, cultural critic and an independent blogger, Belinda has a deep passion and interest for Africa and writes intensively on African politics, social development, arts and culture, gender issues. An art and theatre junkie, the journalism graduate says about herself: "I live through my words." As an African woman, I am inspired.